Our initial holiday plan was to head up to Penang and Ipoh for my friends wedding. However, due to the haze condition, we decided not to risk our holiday, and cancel our trip to Penang. we are thinking of another alternative holiday destination, and that’s when Ivan Kuek suggested I head up to Bali in July. Being inspired by the recent trip by Ivan and family, we decided to head up for Bali from the 2 – 5 July. We booked a flight on KLM which cost us $260 a person and decided to base in Seminyak in a boutique resort – Uma Karan. 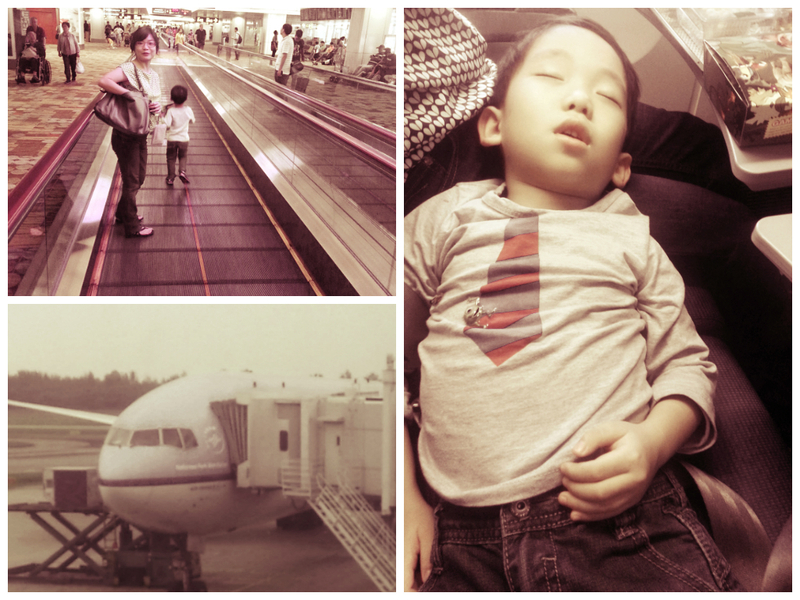 We left for the airport in the afternoon taking a train to Changi Airport. 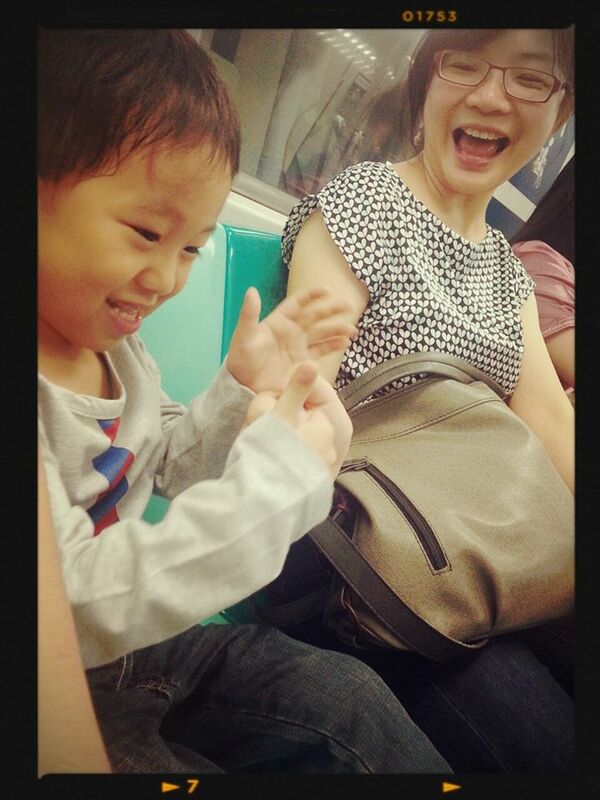 Mom & Son is having fun while making their trip to the airport. Check-in was a breeze as usual and we were on our flight on KLM towards Bali. Jaydon took a nap while on flight. On reaching Bali, we arranged an Airport pickup with the hotel, since from Tripadvisor, it seems that the resort is located on the quiet side of Seminyak. Before we left for the hotel, I decided to get a mobile SIM card in order to stay contacted with my driver the next day. The cost of the SIM card is inexpensive and it includes data roaming. By the time we reached the Resort, it was close to 9pm. 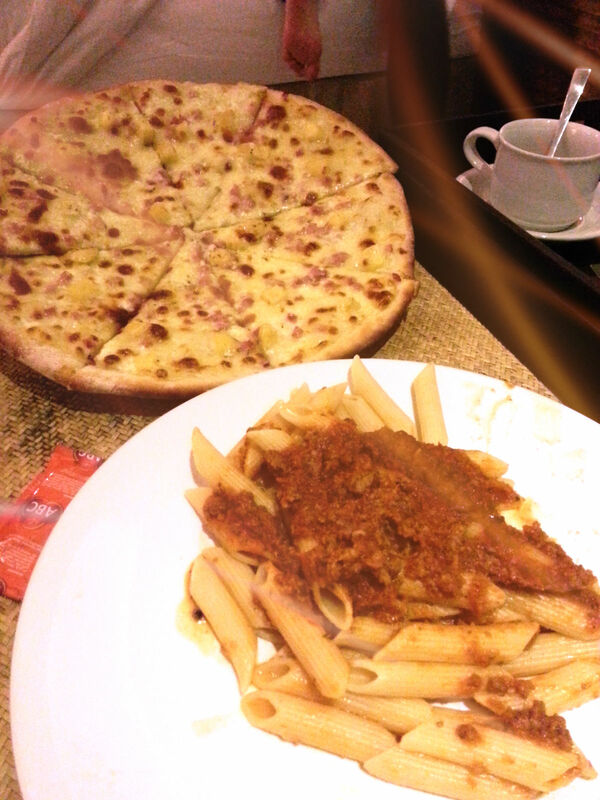 Not had our dinner and too tired to get out of the hotel, we wanted to order room service. To our dismay, the hotel don’t serve room service for dinner. However, thank God, they show us some menu from nearby cafe/restaurant which will deliver the meals to the hotel. We had our dinner and we are off to bed.